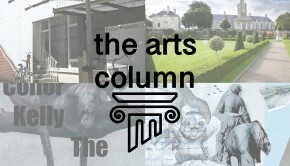 In this week’s edition of the arts column we’ve details of a symposium, a journal launch, children’s workshops, an exhibition opening, talks, walking tours and funding applications. 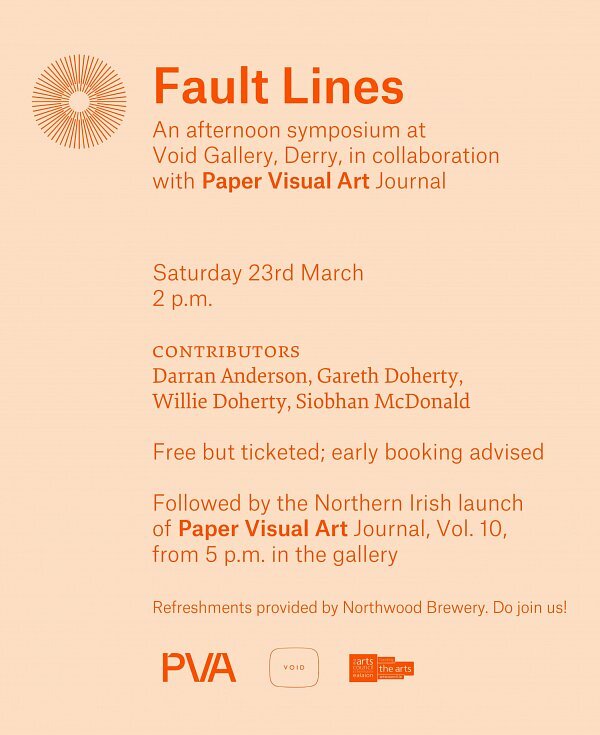 This Saturday, March 23rd, VOID gallery in Derry are hosting an afternoon symposium in collaboration with Paper Visual Art Journal. 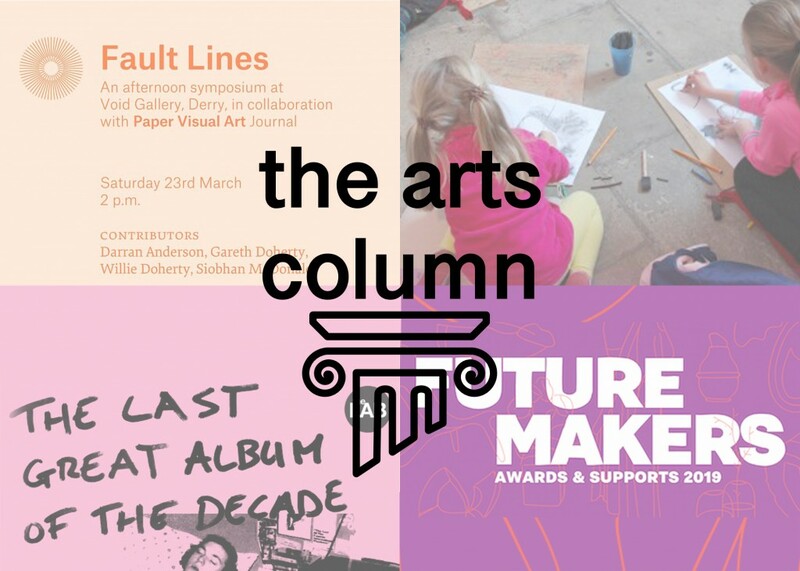 Titled Fault Lines, the panel discussion is directly linked to the current exhibition taking place in the gallery, taking a look at borders and the impact these can have on the everyday lives of people in both a physical and cultural sense. 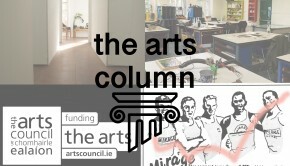 This symposium sees contributions from Darran Anderson, author and contributor for The Atlantic, Wired, Frieze, Gareth Doherty, Director of the Master in Landscape Architecture program at Harvard University Graduate School of Design,Willie Doherty, Turner Prize nominated artist, and Siobhan McDonald, artist in residence in the School of Natural Sciences at Trinity College Dublin (2017-2019). 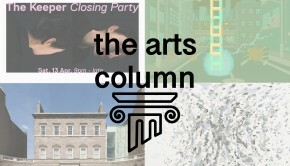 The panel is being chaired by VOID’s director Mary Cremin, and the event is slated to start from 2pm. The event is free but tickets are required and they can be booked online here. 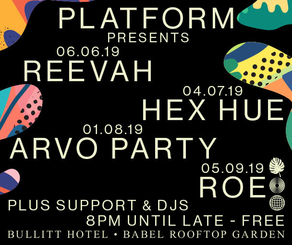 Once you’ve been to the symposium above be sure to hang around VOID as directly after it PVA will be launching the 10th edition of their journal. This new edition features a series of texts that focus on borders and the recent trend that sees them take an increased influence on contemporary art and culture. 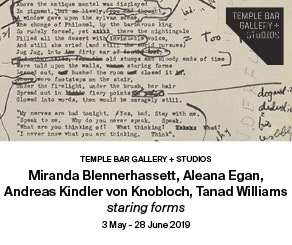 The events kicks off at 5pm, running until 7pm; and if you can’t make it up to Derry then you’ve a second bite of the cherry in Dublin next week when a second launch takes place on Thursday 28th in Temple Bar Gallery + Studios. 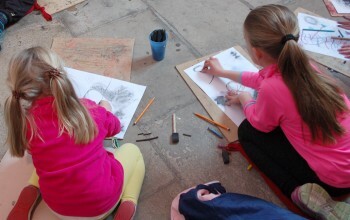 This Sunday, March 24th, two children’s workshops are scheduled to take place in Kilkenny’s Butler Gallery. Both are hosted by artist Rachel Burke with a session for 5-7 year olds from 11am to 12:30pm and 8-12 year olds from 2pm until 3:30pm. The workshops aim to encourage children to express their opinions, engage and learn with art and create their own works from a variety of materials provided on the day. The workshops are €5 each, with another pair due to be hosted by artist Annabel Konig in Butler Gallery at the start of April. 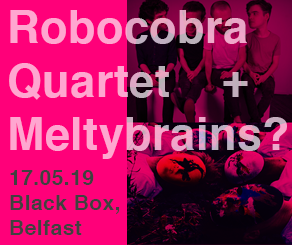 More details, including links to tickets, can be found online here. 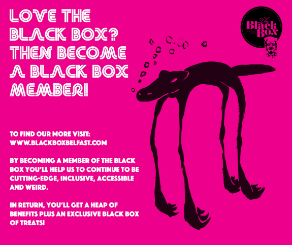 Opening this Thursday in The LAB on Dublin’s Foley Street is The Last Great Album of the Decade. 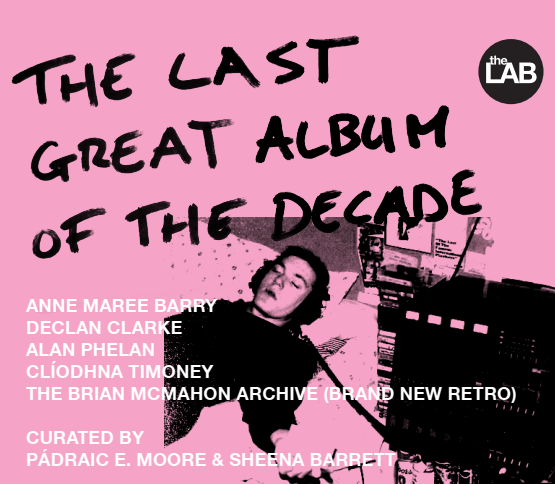 The exhibition features newly commissioned work from Anne Maree Barry, Declan Clarke, Alan Phelan and Cliodhna Timoney, as well a selection of zines from The Brian McMahon Archive, aka Brand New Retro. The show looks to investigate the links and cross sections between music culture and visual art, highlighting decades of music culture in the capital. The Last Great Album of the Decade opens this Thursday and continues until May. More information on the exhibition is available online here. 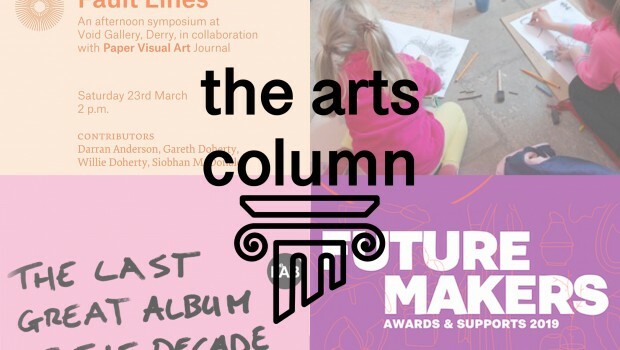 Next Monday, March 25th, is the closing date for applications to this year’s Future Makers Awards and Supports programme. In its 10th year, the support programme has awarded over €260,000 to 229 Irish designers and crafts people; and this year there is a fund of €25,000 with 28 prizes available. 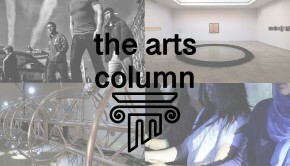 Both students and artists with emerging practices can apply, and there is a wide variety of categories to chose from. Applications are free and more details can be found online here. Aidan Kelly Murphy is the Arts Editor for The Thin Air. He's also a coffee fiend, architecture enthusiast and general messer.